Technology innovations have increasingly become boardroom discussions over the past decade. For the past couple of years, the conversation has revolved around artificial intelligence, and some companies have made heavy investments in technologies. While AI and machine learning remain hot topics, the big question now seems to be, “Where’s the return on investment?” Your company can now analyze a lot of data and build compelling user profiles, but how does that manifest itself in achieving business goals? As the CEO of a customer experience solutions company, I advise companies on how to invest in chatbot technology as part of their digital transformation strategies. I believe where the industry is today in terms of AI can be illustrated by where the U.S. highway system was in the 1950s: There are still gaps to be filled. Achieving ROI on AI is the last mile. Think of chatbots as the freeway on-ramps that get consumers where they want to go; they are the connection between the consumer and AI. I believe these bots should be how executives demonstrate the value of the AI systems they have in place, and in my experience, if you aren’t already doingq1` so, your board will be asking about your bot strategy. From my perspective, chatbots will become the leading edge of digital transformation. This transformation has already begun; Gartner predicts that by 2020, virtual customer assistants or chatbots will be used in 25% of customer service operations. Just like mobile phones have become a core part of many people’s daily lives, I believe as consumers we can expect to see personal chatbots become a key part in how we carry out daily tasks. We see the beginnings of this with the rise of virtual personal assistants, such as Amazon Echo and Google Home, which can carry out simple tasks. In the future, these will likely be much more complex. Chatbots are not just a window in a web browser. I believe they are every way a consumer interacts with a brand, whether that’s through voice or digital channels, such as text or messaging. As chatbot interactions become more prevalent, I believe product strategies will need to adapt to offer chatbot integration with a wide variety of devices. Executives should develop chatbot strategies that leverage current technology investments, particularly those in AI, and extend to a broad range of consumer devices. I believe that at the center of this automation investment will be chatbot technology that enables both customers and internal employees to complete tasks much faster than they can today. Today, chatbots can perform many simple functions, but in the future, I believe they will be able to do much more. Currently, you can push a button on your phone and ask the Google Assistant to tell you who won the game or if your flight is on time. In the future, you might be able to have a bot alert you of available flights to an away game (and then book that flight on your behalf). Over time, we can expect bots to evolve into digital concierges that can provide a wide variety of personal tasks for the consumer. Recently, Google launched a call screening service the enables your Google Assistant to screen your calls answer on your behalf. With natural language processing, both in voice and text, getting better every day, we can expect to see systems learn and grow. The consumer’s experience will only get better, and I wouldn’t be surprised to see people prefer to interact with a bot over a human. Once a chatbot system can answer questions quickly and correctly, I believe consumers will prefer them because they are simply faster and more convenient. In terms of how consumers interact with companies, we are on the cusp of a change as big as the internet was back in the 1990s. Much like how web-enabled consumers can go online and find what they need without calling a company, I believe chatbots will soon become the first point of contact between consumers and companies. 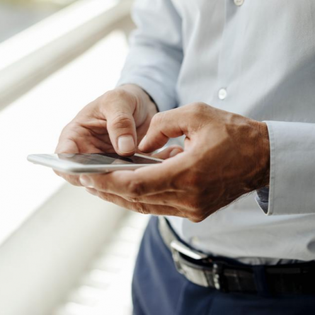 Whenever a technology has the potential to improve both corporate efficiency and customer experiences, you can expect that technology to be top of mind for your board members. Some companies have already implemented chatbots that are being deployed successfully, such as Lyft and Spotify, among others. As this technology continues to demonstrate success, they could forever change the way companies and customers interact. So, start now, and have your bot strategy in place before your board comes asking about it. • Define business objectives. For any strategy to be implemented (and work), it is important to clearly define the business goals it sets out to achieve. Chatbots will likely play an important role in company strategy, but it is also a long-term investment that needs to align with your company’s vision. • Balance your investment and ROI. In the long run, chatbots have the potential to improve your customer experience, but it’s hard to quantify benefits from an improved customer experience. So, make an economic argument for cost savings or revenue improvements. • Decide if your infrastructure is ready. Understanding and planning for the work that will be required to get your technology infrastructure ready to connect to chatbots is a crucial stage. In my experience, the goal of corporate technology has shifted to allow for more flexibility in order to adjust to new demands. Flexibility wins. So before you start building out that bot strategy, make sure to have these three key areas well-defined and thought through. In my next article, I will outline exactly how you can implement a successful bot strategy.